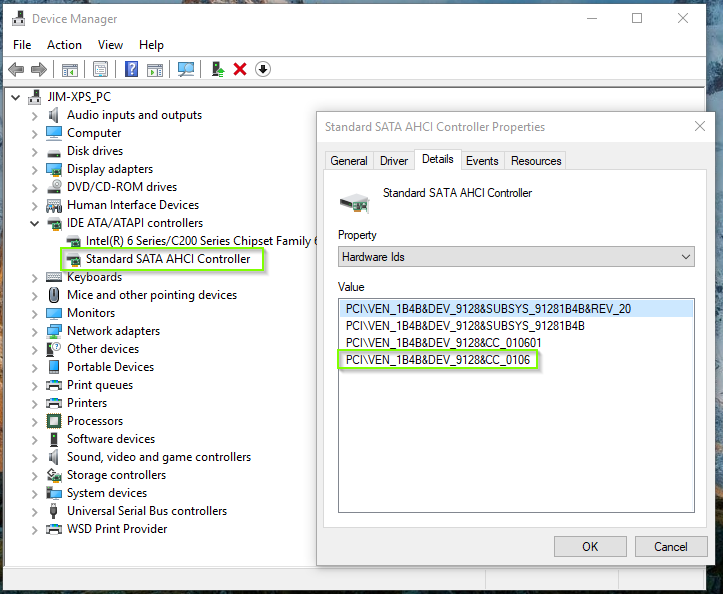 PEX-SA115 is compliant with AHCI and is supported by built-in AHCI driver on Windows 10, 8, 7, Vista, 2008, 2012. Q 2 . It goes to a black screen after Installed the card on a DELL system with a working Windows 10. It boots the system normal once removed the card. What can I do? It's because the Dell BIOS changes boot drive sequence incorrect when it detects a new one. Please boot into BIOS and select "Boot" setting screen like below. Select "Hard Disk Drives" and enter. Q 3 . Can I set up RAID 1 to a non-RAID drive and preserve the existing disk data? No. The Marvell 88SE9128 will destroy all data on the physical disks included in the virtual disk when creating a RAID virtual disk. Please back up the existing drive with important data before applying RAID and then restore data to the new created RAID. Feel free to ask questions about this product here..
Ableconn Customer Support Team will do their best to quickly answer your questions.